According to a leaked Best Buy document, Amazon’s highly anticipated set-top box and the refreshed Apple TV might be released in the spring. 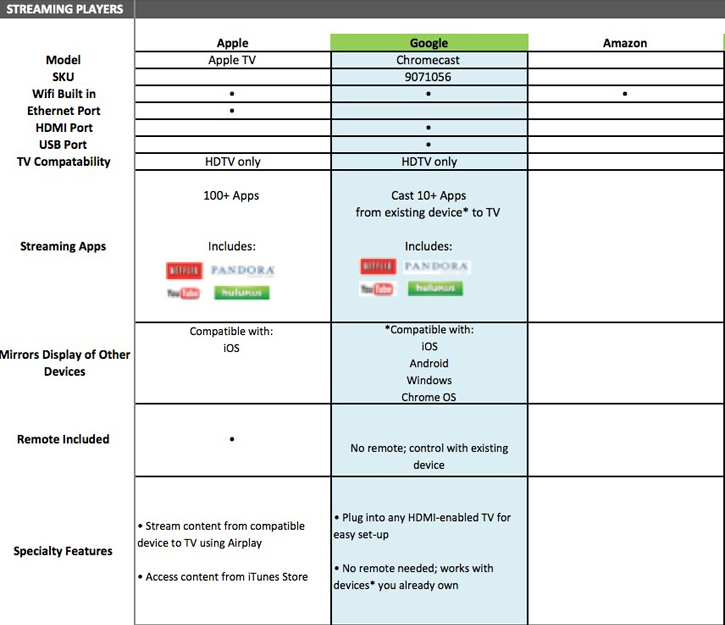 The document compares the new Amazon streaming player with Google’s Chromecast and an updated Apple TV. The details of the Amazon box are little to none, the only thing that can be said about it is that it’s expected to have built-in WiFi. There are no model names or SKU. Google’s Chromecast model name will be the same, its SKU will be 9071056, it will have built-in WIfi, an HDMI port, a USB port and the TV compatibility will be exclusive for HDTV only. The streaming apps will be 10+ from existing device to TV and will include Pandora, Netflix, Youtube and Hulu. The stream player will be compatible with iOS, Android, Windows and Chrome OS. There will be no remote include and the special features include the fact that it can work with any devices you already own and you can plug it into any HDMI-enabled TV for easy set-up. Apple TV will have a built-in WiFi and an Ethernet port, however it will not have a HDMI or USB port and the TV compatibility will be HDTV only. It will be able to run 100+ streaming apps, which will include Netflix, Pandora, Youtube and Hulu. 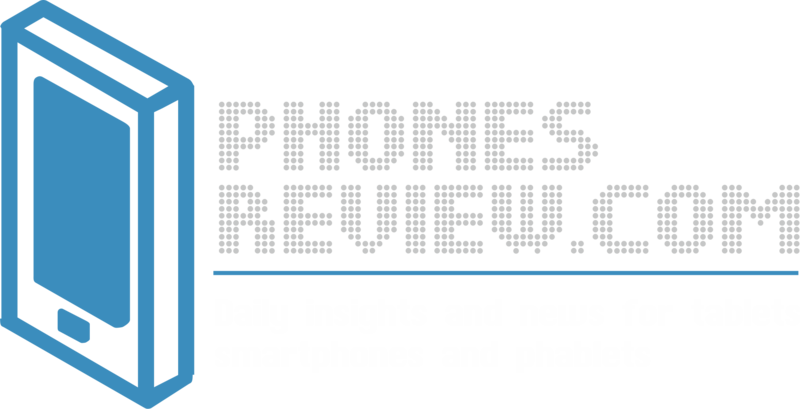 The player will be compatible with iOS and will include a remote. The special features are that it will be able to stream content from compatible device to TV using Airplay and access content from iTunes Store.